About Brand – We at ENJOY-Amit Arts believe in celebrating every aspect at this beautiful life. Established in the year 1999, since then we have grown manifold and the flight of our dreams keeps reaching for the stars. Our motto is to bring happiness and joy in people’s lives and be known for our numerous ranges of products. Our list of products include from the smallest celebration item to the largest one, so much so that now the count has been lost! 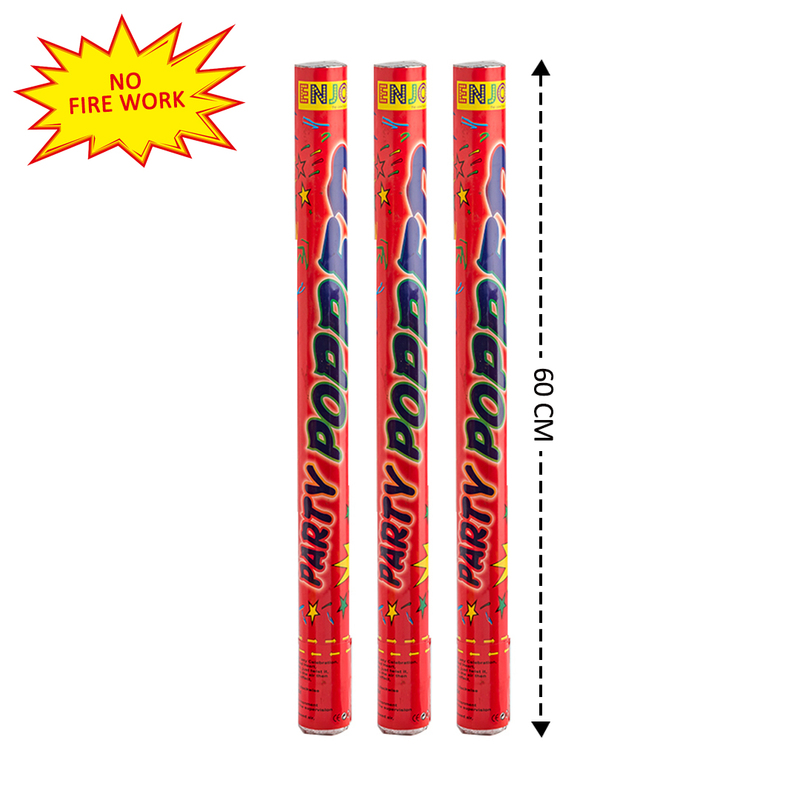 We take pride in being the first manufacturers of Party Poppers of various shapes and sizes in India. Our product list include many surprising items to fulfill the demands of the ever changing customer preferences From birthday items to Christmas decorations, ours is a one stop hub for all your needs to make your party more vibrant, colorful and lively. 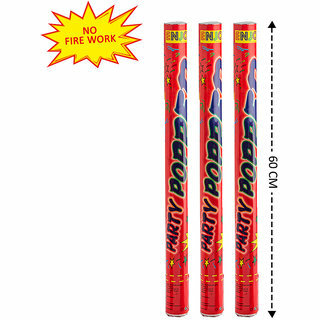 About Product –This party popper uses compressed air to shoot color-assorted confetti into the air. Party poppers are usually used for inside or outside occasions such as weddings, birthday parties, business events, anniversaries, new years, plus much more. Good for indoor and outdoor use. Twist the popper as per directions and all colorful confetti pops out.